and we will match you with a professional who fits your needs. 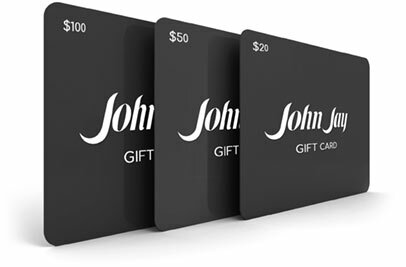 John Jay gift cards are the perfect gift for any occasion and can be purchased in any amount. New Orleans, one of the most stunning cities in the world, is home to one of the Top Ten Salons in the nation (Salon Today). Founded more than 60 years ago by internationally renowned stylist John Jay, the hair stylists, colorists, nail artists and massage therapists at our cutting-edge Intercoiffure hair salons are here to help you become your best self. Our goal is simple: to enhance your natural beauty rather than turn you into something you’re not. We offer dependably stunning results. At John Jay, we don’t just know the trends, we create them. At 40 styling stations in two state-of-the-art hair salons on historic St. Charles Avenue and Robert E. Lee in Lakeview, female and male clients of all ages are made to feel welcome and indulged. Whether you’re the artsy type or a professional who needs your hair to look the part – whether you’re going for “tres chic” or “girl next door” – our hair salons can help you achieve your best look. The mirrors at John Jay will reflect back your best you. Our highly skilled and extraordinarily caring beauty professionals at the master, designer and stylist levels will help you get the look you want – for yourself and from others. For weddings, Carnival balls, and every day, you can do no better than John Jay.